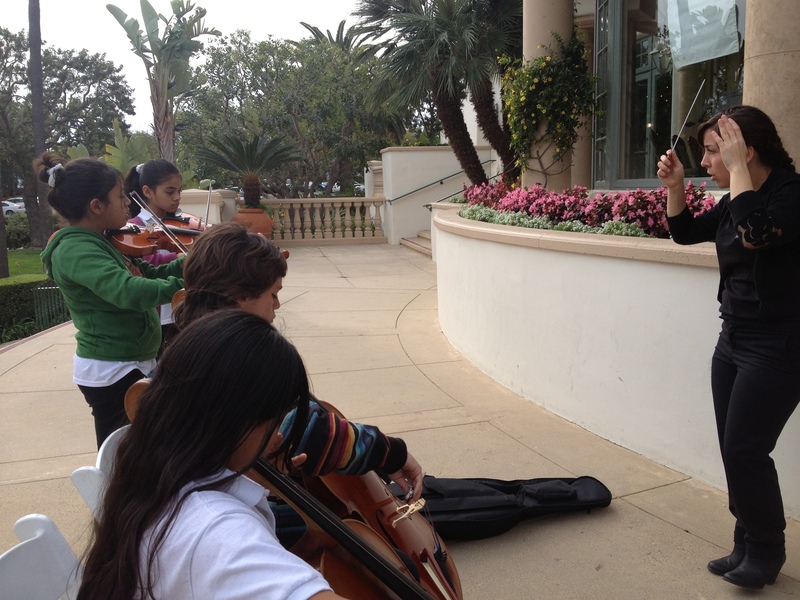 On Friday, 12 students performed at the Spanish Hills Country Club in Camarillo in a lunchtime concert for the Jewish Federation Women’s Club. We learned what it means to be professional musicians by dealing with last minute changes to our schedule and repertoire, while still playing our best. We look forward to more opportunities to reach out and play for the community! 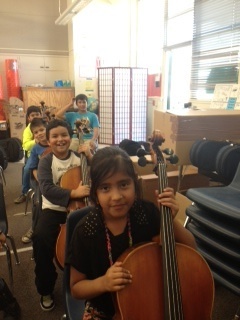 Check out our newest string players! 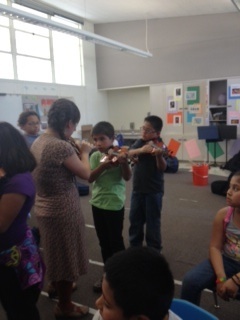 First time ever holding their instruments…more to come soon! The majority of my time is filled to the brim with collecting forms, teaching the D Major scale, calling parents, restringing instruments, making attendance sheets, writing grants – to name just a few things. Amidst the wash of music and kids, it’s a rare opportunity to be able to look back at the whole picture, and to see Harmony Project for what it truly is. But as I reflect on this past year, I do so with joy and heartfelt gratitude. Our staff is dedicated, our community is supportive, and our kids are powerful beyond their knowledge. It would be false to say that every week was revelatory, that kids always left class with a smile. I think that each student and teacher was tried at more than one point during the semester, and probably asked themselves why they play or teach music. 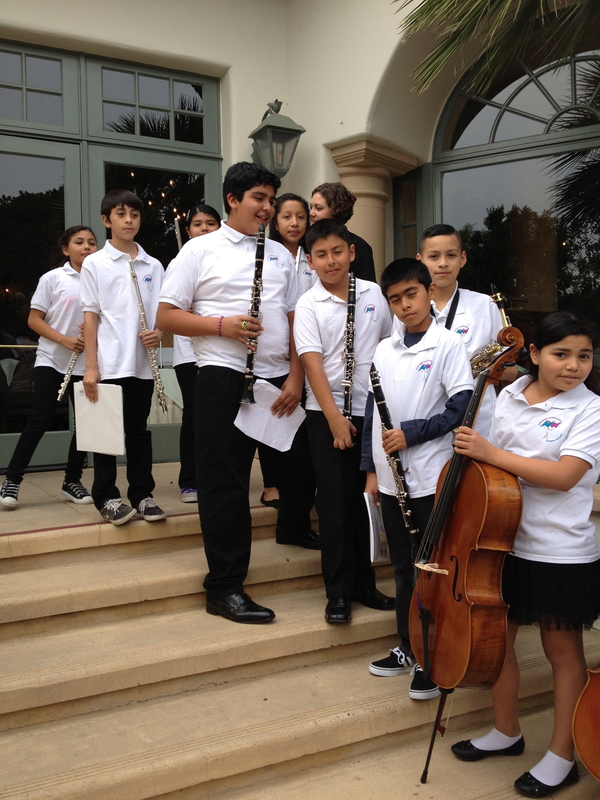 It is because of those challenges that we are becoming such a vibrant program, and that our talented teachers make the kind of impact they do; it is because of those difficulties that over 200 people came to our winter concert and that afterwards our students were bubbling over with excitement. One thing I have learned in these past few months is that rough mornings and confusing afternoons lead to intraspective nights and renewed tomorrows. Some day, you will drive down Ventura Avenue and it will be filled with young musicians walking to rehearsal, instruments in hand. You will hear music coming from houses and apartments. But what will capture your mind and heart will not just be the sights or sounds, but the palpable passion and joy with which kids play and families listen. There is a well of infinite possibility in West Ventura, and I can’t wait continue uncovering the potential. May this new year be filled with more challenges, more joy, and more music making than ever.